With so much information available at our fingertips, there is no excuse for ignorance. In this century, from the privileged vantage point of watching the world through a screen, there is no reason why we should not have a well-informed opinion on anything that tickles our curiosity. Whether it’s Wikipedia, Google Books, or Coursera, there exists before us an unprecedented access to data, information, and analysis. Anything we want to know we can know. The problem, though, is that I think many lack the skills necessary to effectively organize everything before us, to separate substance from white noise. Too often we turn to Google to reaffirm what we already “know” rather than use it as a tool to reevaluate what we think we know. The difference is that we use it as a weapon, a fill-in-the-blank generator that appeals to authority; we use Google to fight the misinformed rather than correct misinformation. Thus, we settle for a top-5 URL ans presume that Psychology Today or an editorial from The Huffington Post would never lead us astray. (How could they? They have high page views!). But this does a disservice to both the conversation that inspired the keyword search and our own understanding of a topic. What we should be doing instead is using these tools to compare information, study the validity of claims, the methodology used to derive them. If someone name drops, look up the name. If someone alludes to a theory, study the theory from both sides. Don’t understand economics? Learn the difference between those applauded in The Wall Street Journal and those who are applauded within their discipline. Don’t believe in evolutionary theory? Read an essay by Richard Dawkins, watch a YouTube video featuring Sean Carroll, find an article that, step-by-step, dismantles the most prominent creationist claims. I know absolutely nothing about computer programming – at all (and I’m ashamed of it). I’ve had 22 years to dedicate time to it and I’ve chosen to squander my time elsewhere. But, I’d like to change that. Working at the Eagleman lab, it’s not uncommon for me to be told that above all other life advice I could be given, “You Need To Learn Programming.” And I don’t disagree. If I’d like to ever pursue a Ph.D., it’s something that I’ve got to do – and it’s better to start now than to push it off. Like learning any other language, we learn best while we’re young – it only gets harder with age. So, I’m going to give it a shot. I’ve registered to take a “Computing for Data Analysis” class through Coursera with a professor from the Johns Hopkins Bloomberg School of Public Health. The emphasis is on “R”, which is what the lab uses, and I’m hoping to get a lot out of it. Even if I flounder pathetically and leave a mess of tears, sweat, and torn notebooks in my wake, I’ll at least have floundered pathetically and left a mess of tears, sweat, and torn notebooks in my wake. (Unfortunately, the class started yesterday so you’ll be unable to join me – in that endeavor at least). It starts on September 30 and lasts for about 8 weeks (4-6 hours/wk). Although I’ve read my fair share of commentaries on the advancement of neurolaw, it doesn’t hurt to get another perspective. 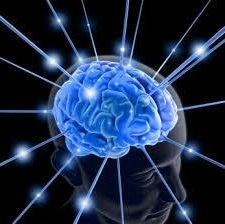 What’s interesting is that when it comes to Neuroscience and the Law there are really only three institutions doing active research on it: The MacArthur Foundation’s Initiative at Vanderbilt University, Baylor College of Medicine’s The Initiative on Neuroscience and Law (where I am), and The University of Pennsylvania. So because it’s still a fledgling field, it’ll be nice to be introduced to the other “schools” of thought floating around out there. The reason why I am sharing this with you is because I was wondering if you’d like to take it with me. If you register, let me know – we could even form a small study/reading group where we discuss the materials, bounce ideas back-and-forth, etc. We can share our own research and thoughts and just have a good time talking. Furthermore, in neurolaw there’s no right or wrong answer – as I like to joke about, the field’s too young to have right and wrong answers yet!